At ConfiDenT, our priority is to give each patient a positive experience in dental care services. To this end, we value the importance of strong communication between patient and dentist. This is essential in order to establish a trusted relationship, educate patients about proper dental care, as well as be able to understand their specific needs and concerns. Therefore, to ensure we are able to effectively communicate with all patients, we proudly offer a Spanish speaking dentist. If Spanish is your preferred or primary language, you can trust that our practice is equipped to give you a positive and seamless experience in dental care. This includes being able to communicate clearly your dental health, treatment options, financial policies, scheduling needs and other necessary information. Having a bilingual dentist allows us to put more patients at ease in the dental chair, and this is important to us at ConfiDenT. Do you have trouble understanding English? Consider ConfiDenT as your home for comprehensive and comfortable dental care. 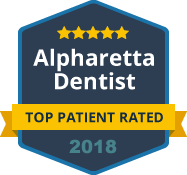 Our Spanish speaking dentist in Alpharetta proudly offers a full menu of dental services to meet your family’s needs. From general dentistry and restorative treatments to smile makeovers and emergency care, we can address all aspects of your smile in one convenient location. We are set apart by our patient-centered approach and dedication to modern dental care. If you or someone you know needs a skilled dentist who understands and speaks Spanish near Alpharetta, please contact our office. We consider it a privilege to care for your smile at ConfiDenT.